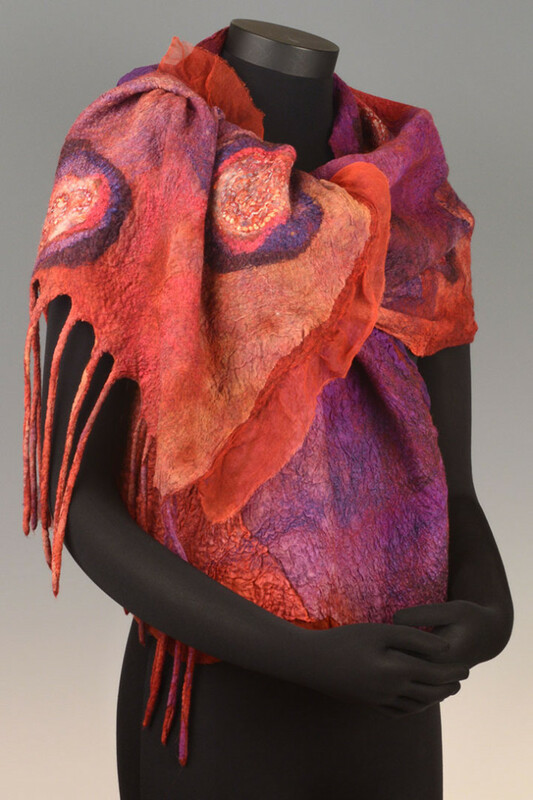 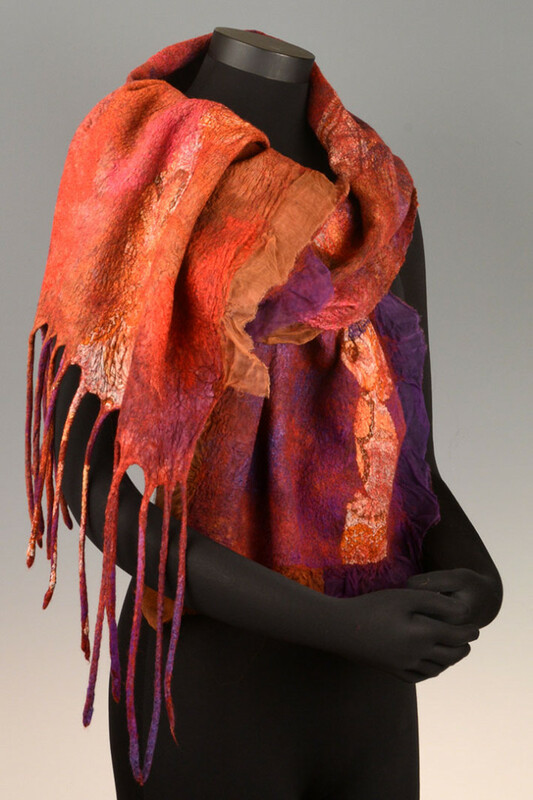 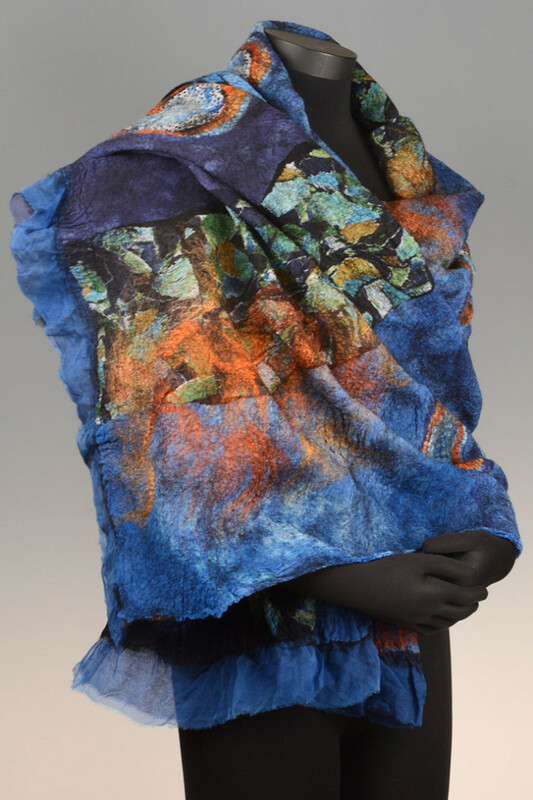 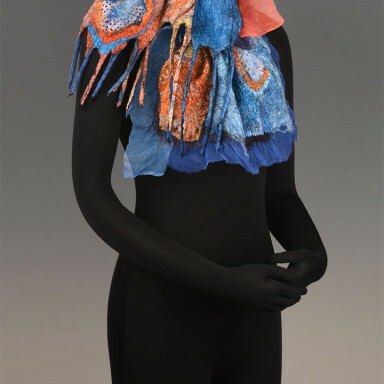 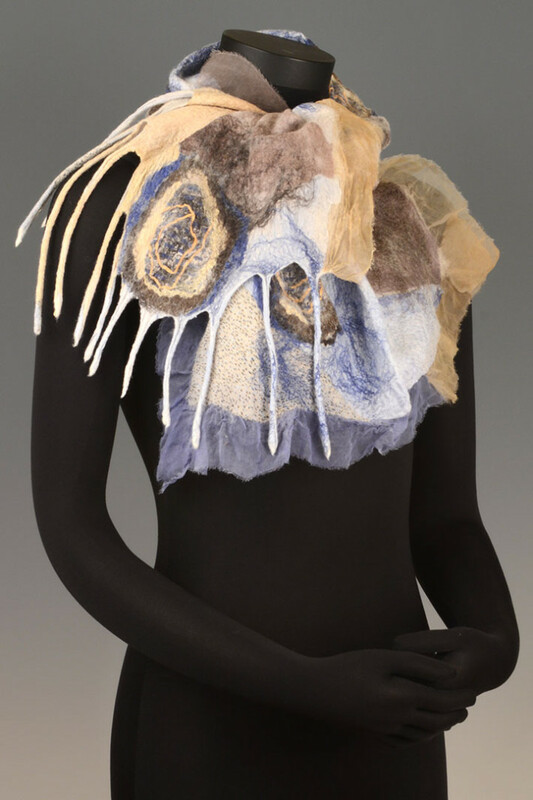 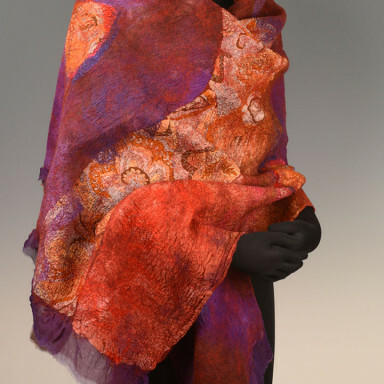 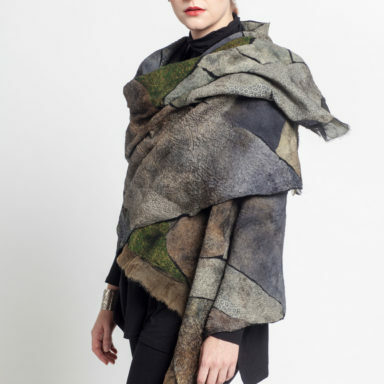 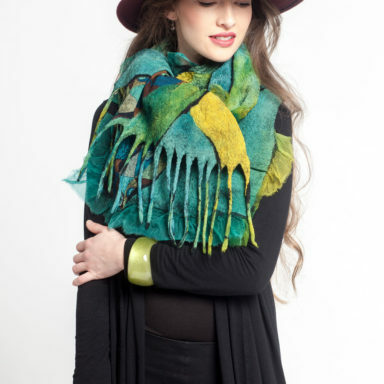 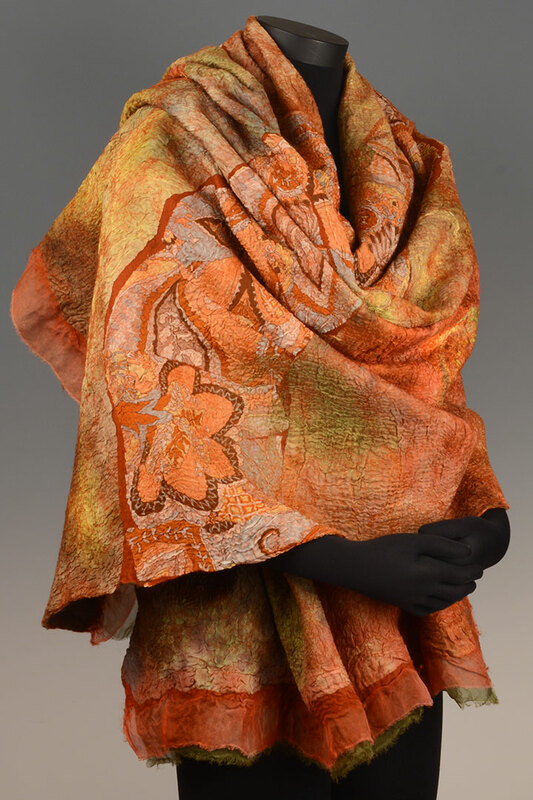 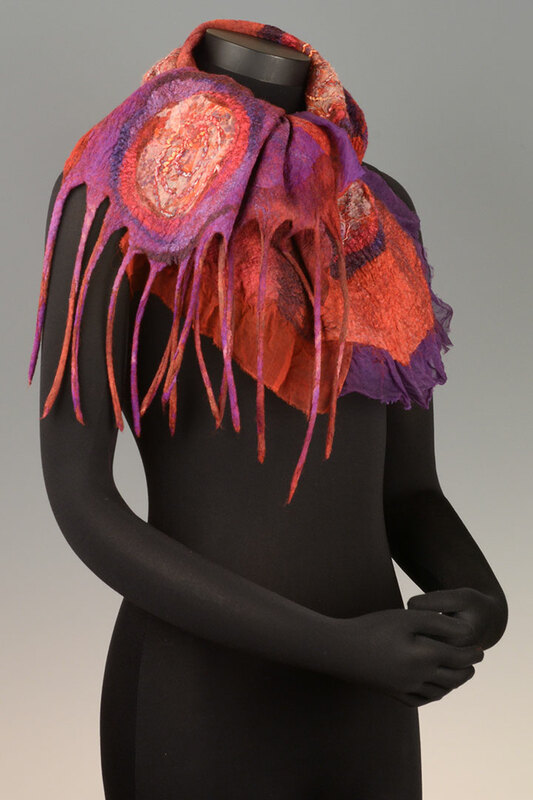 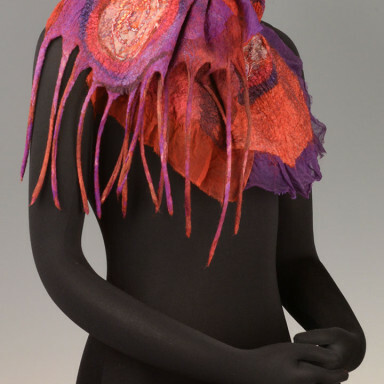 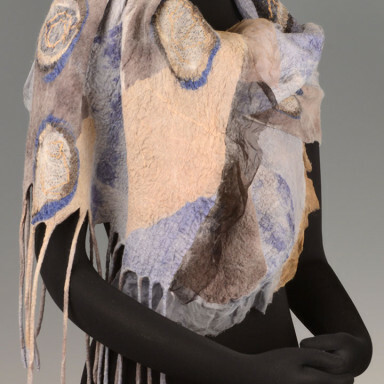 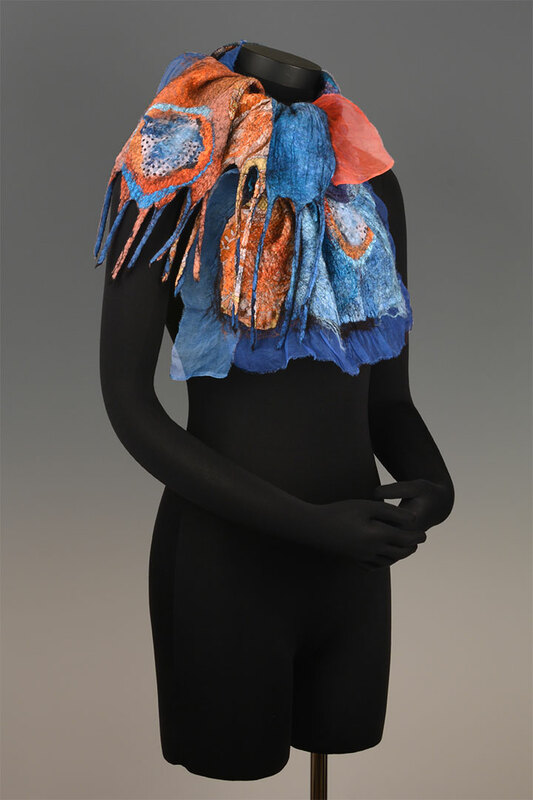 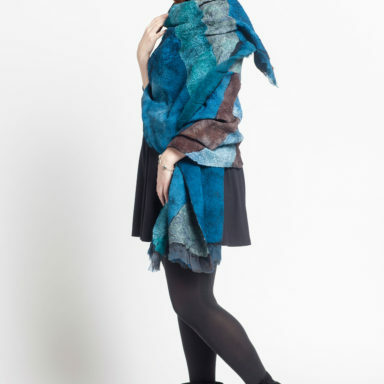 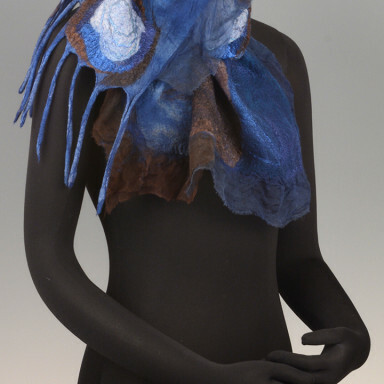 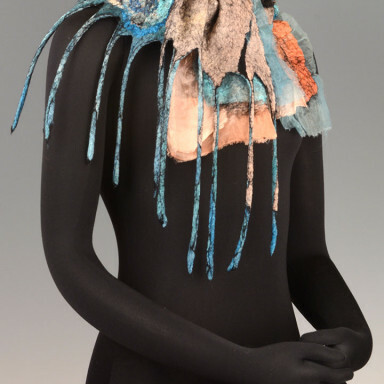 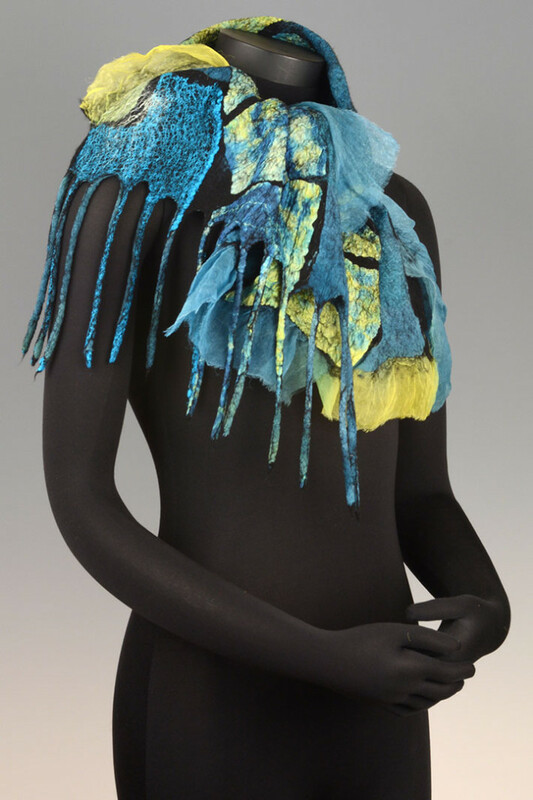 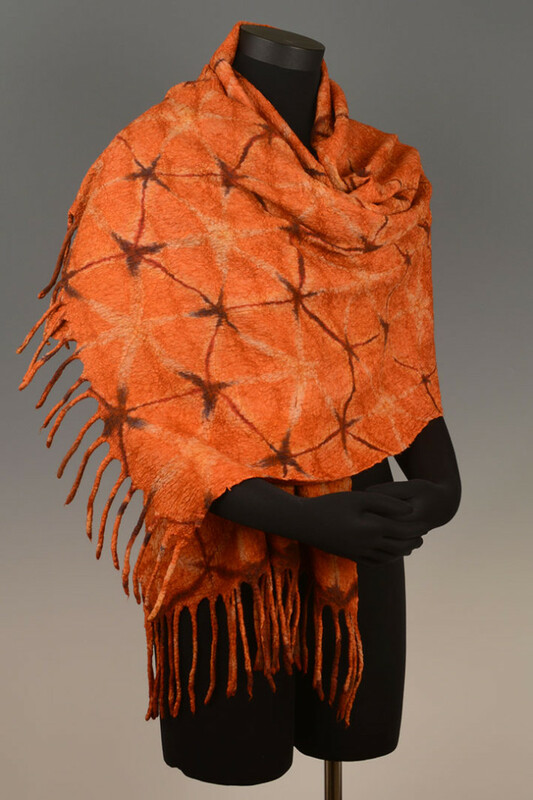 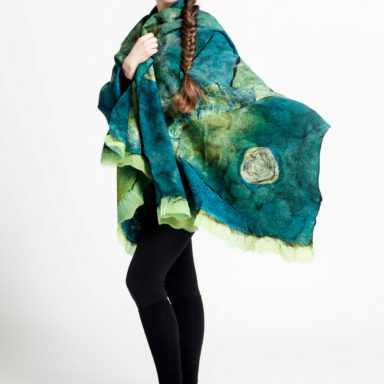 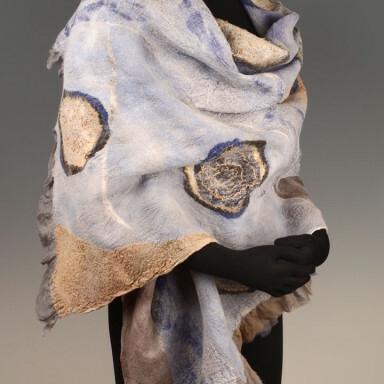 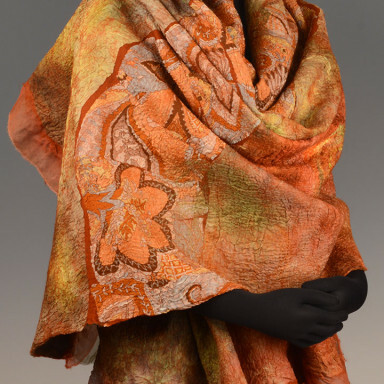 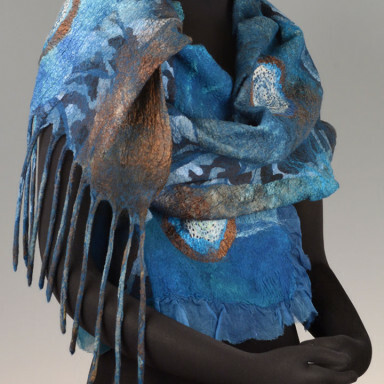 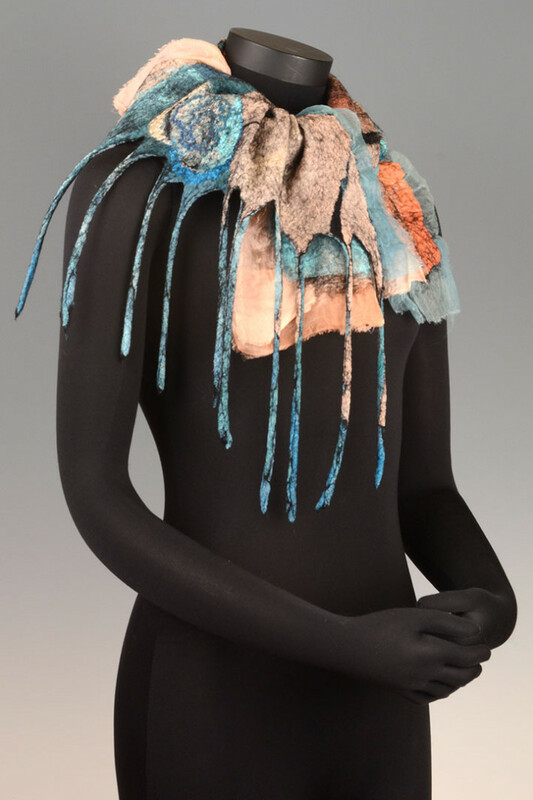 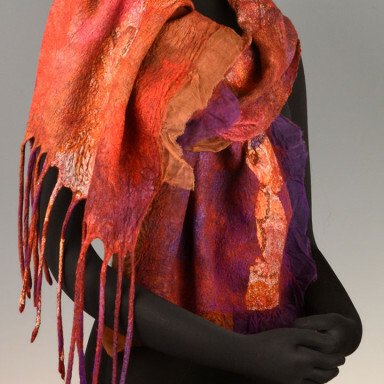 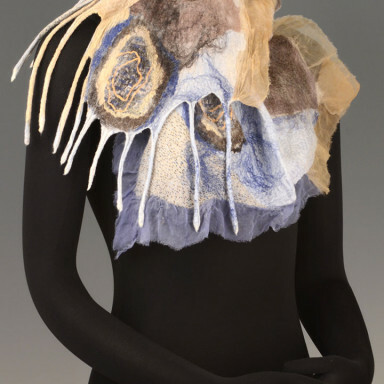 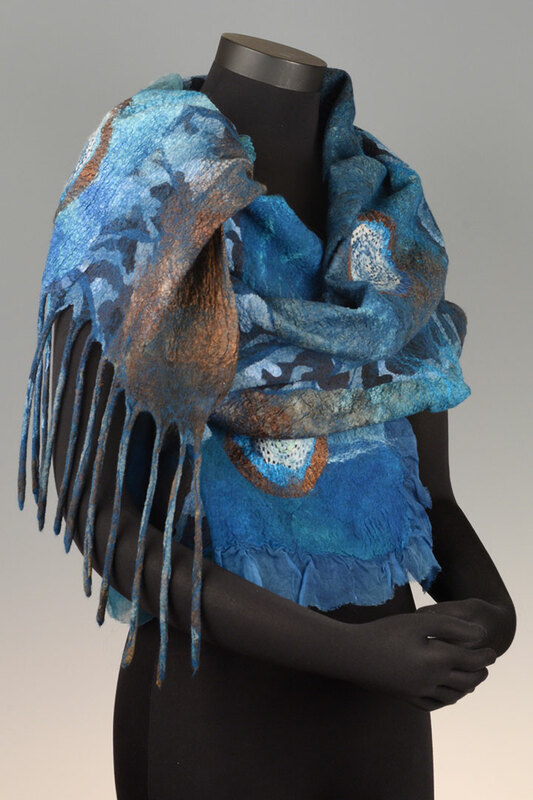 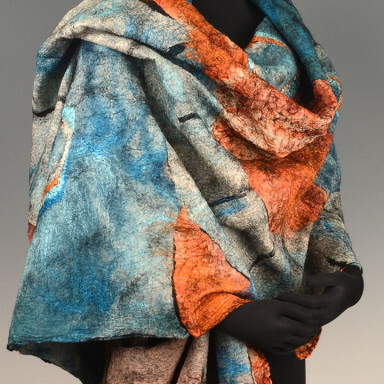 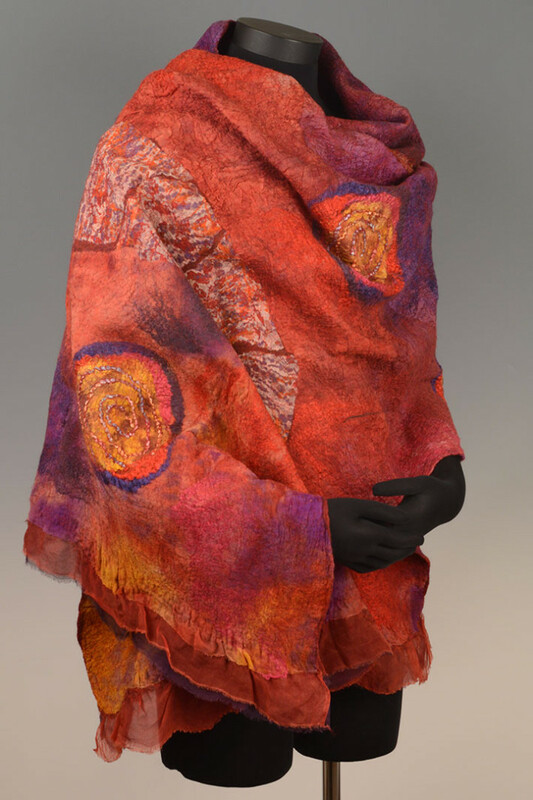 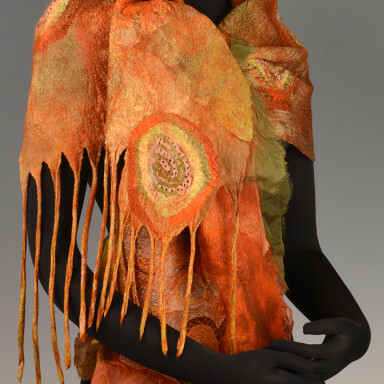 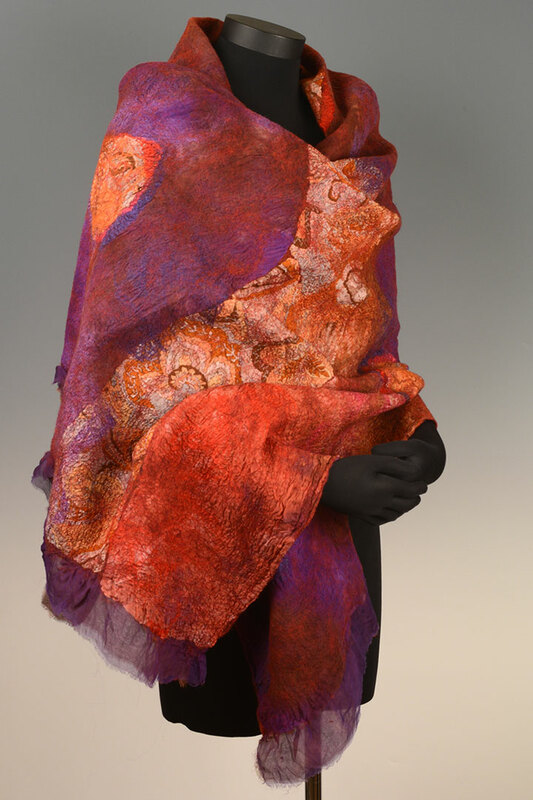 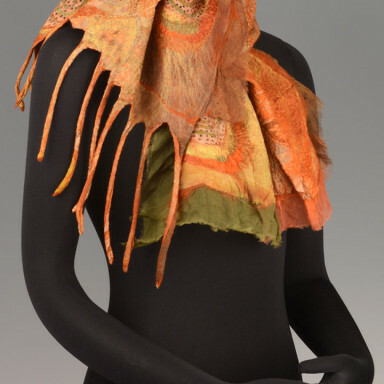 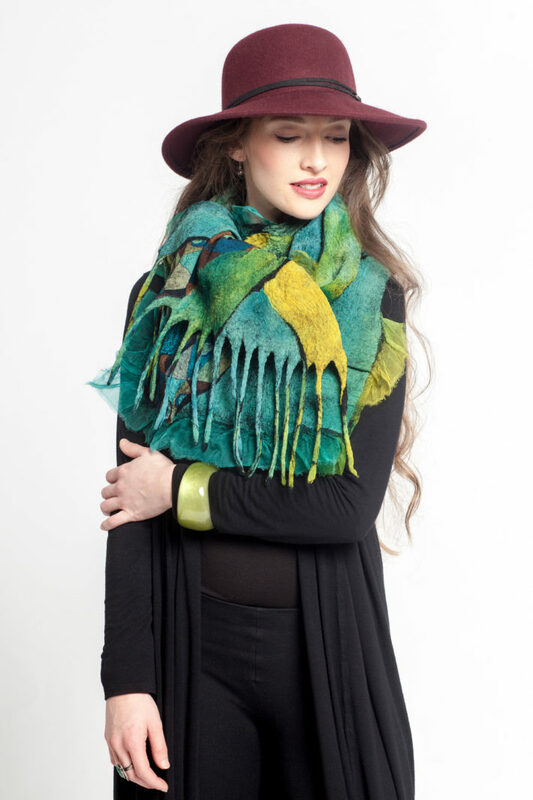 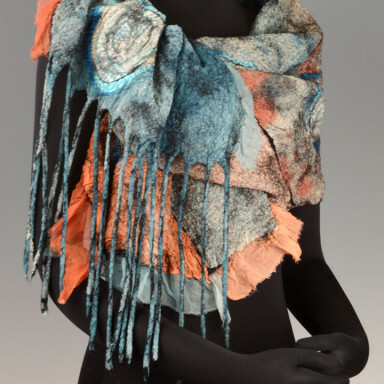 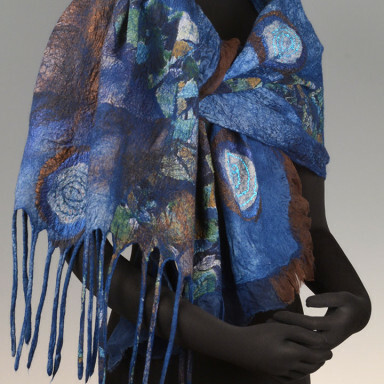 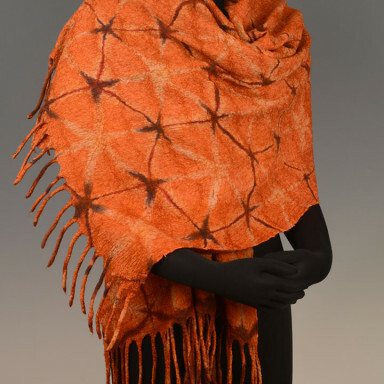 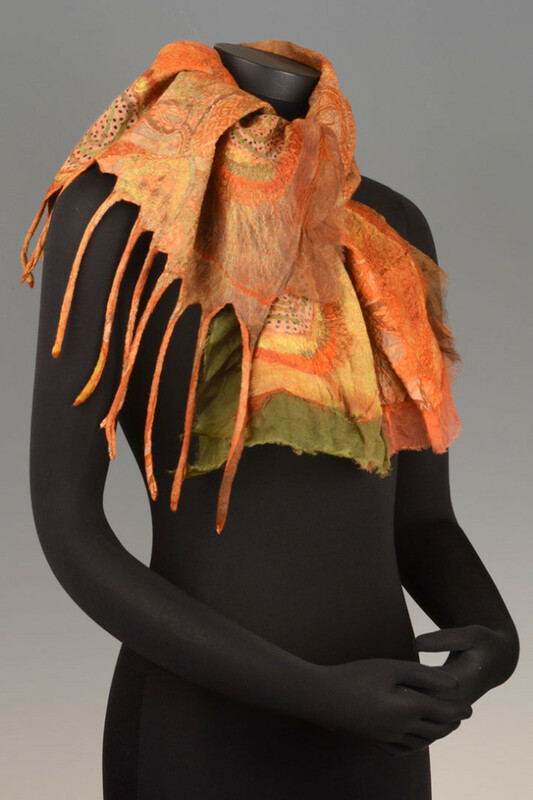 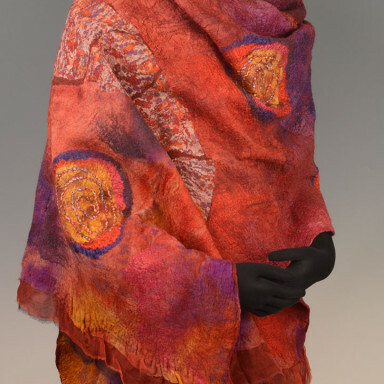 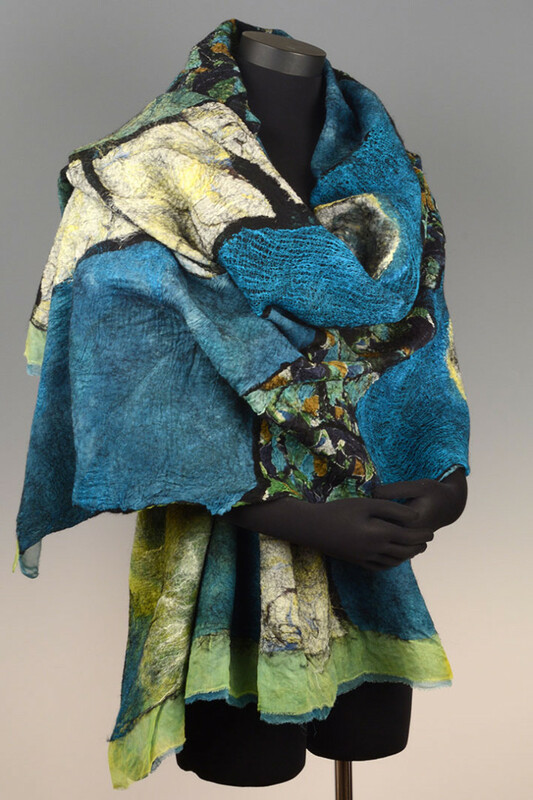 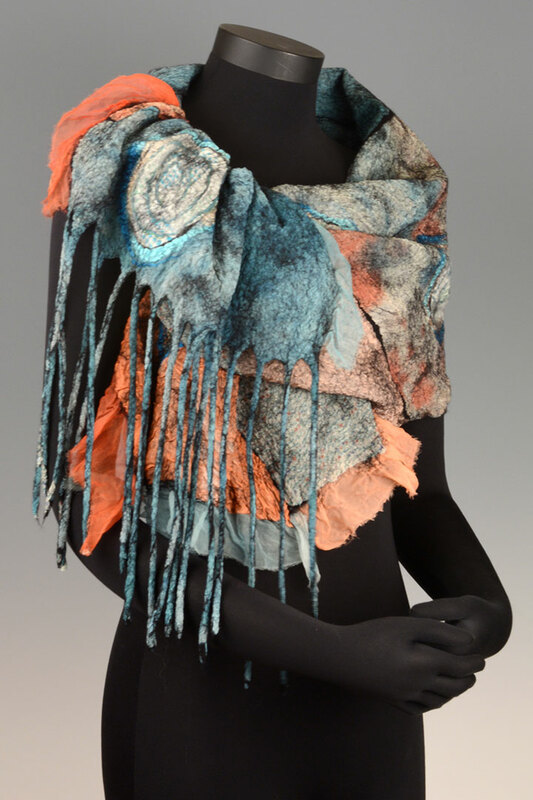 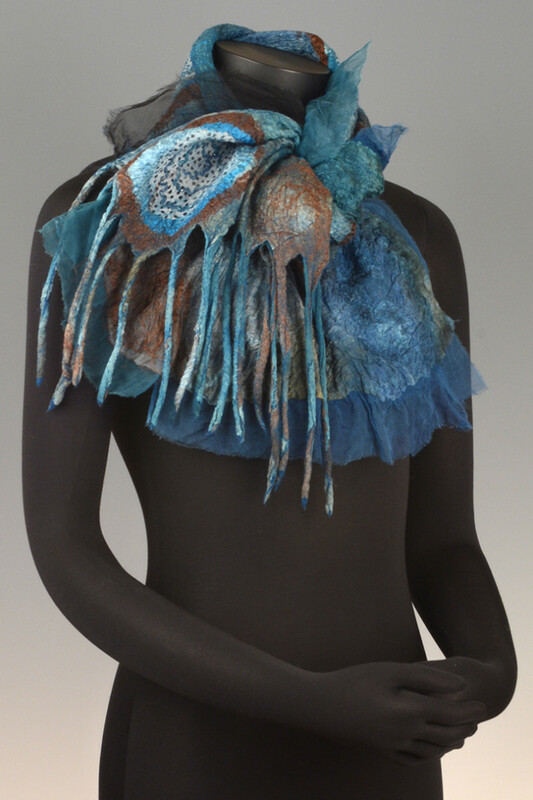 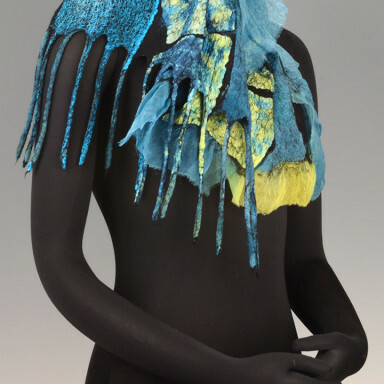 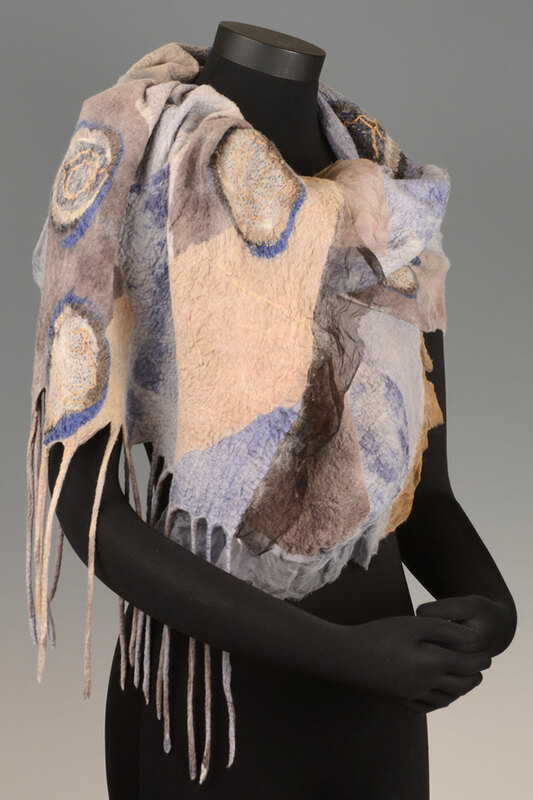 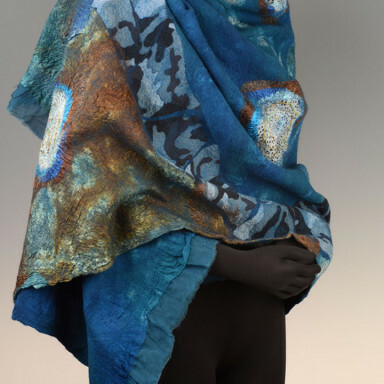 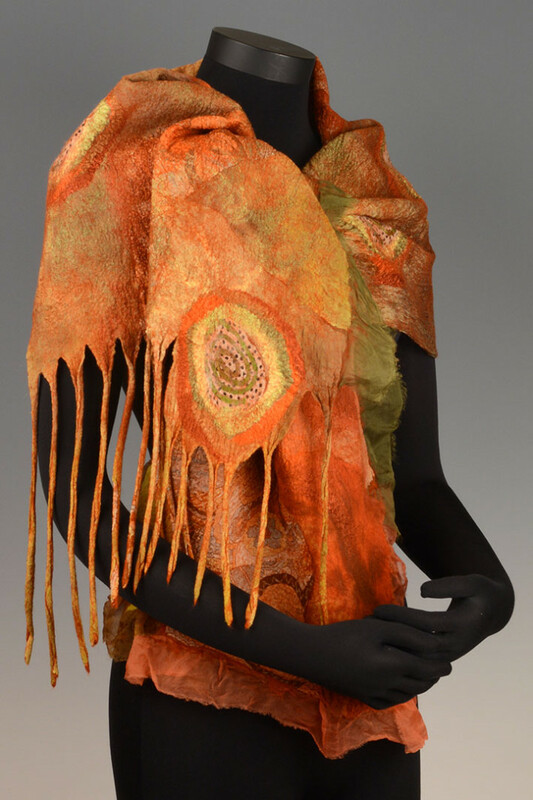 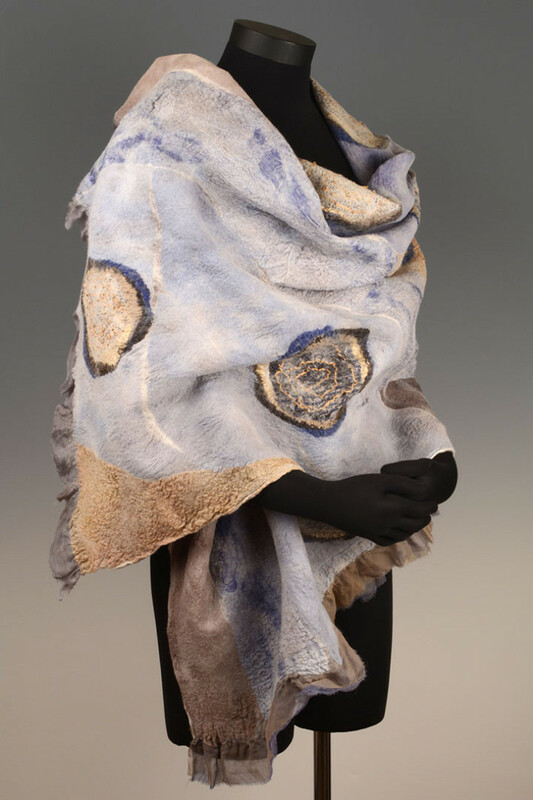 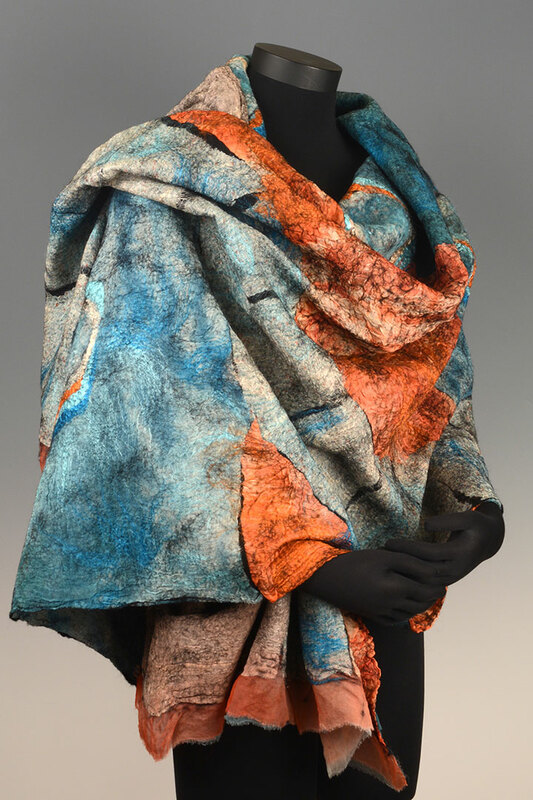 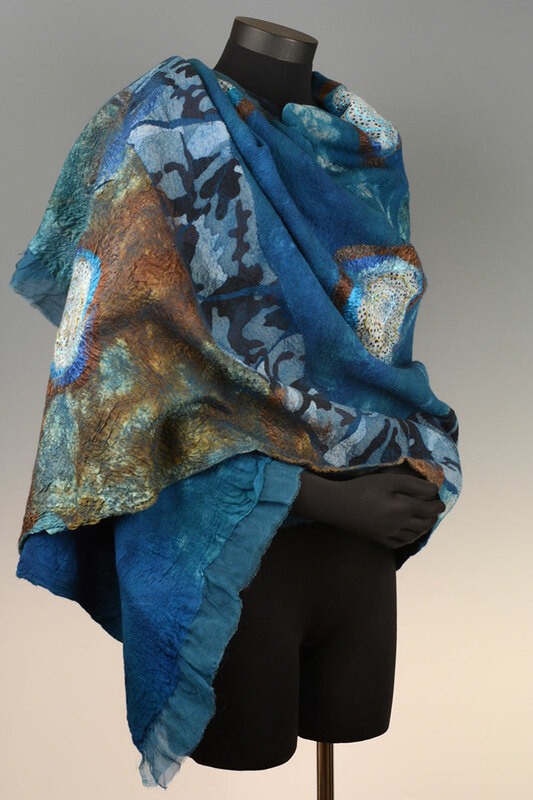 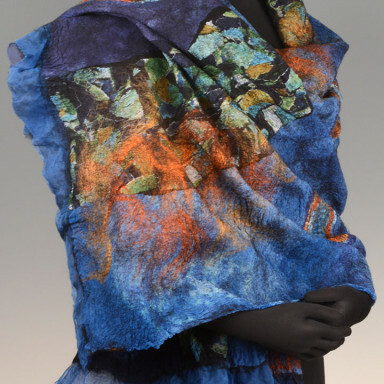 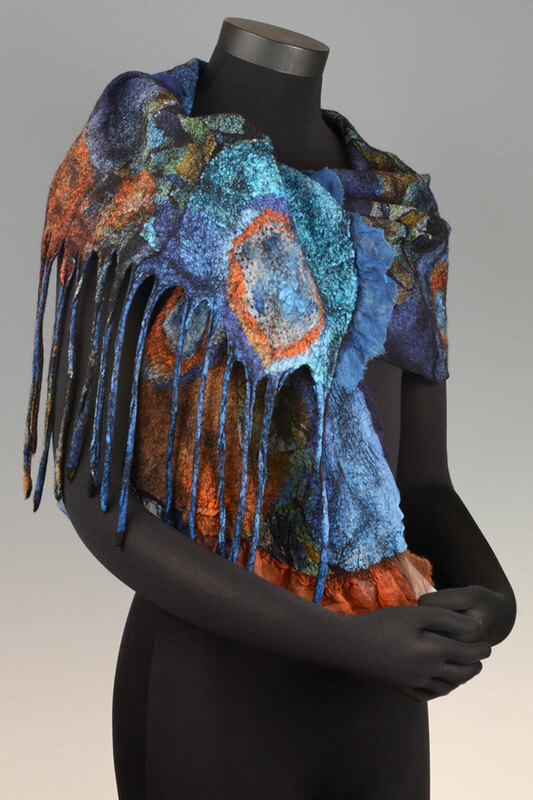 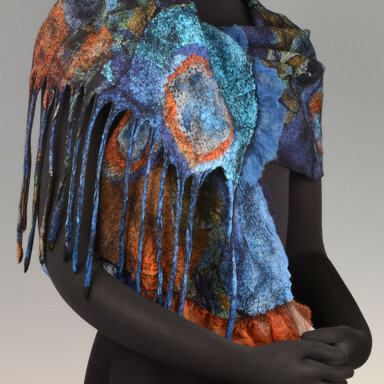 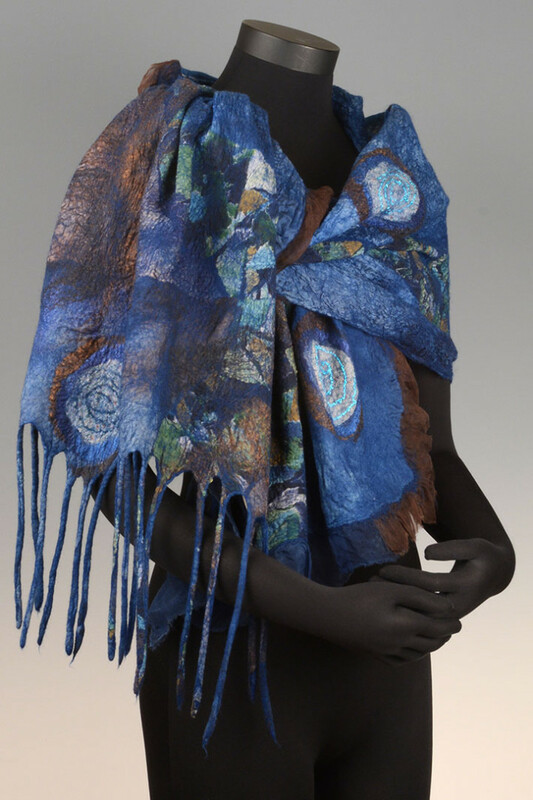 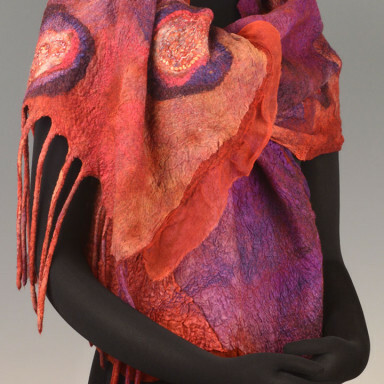 Hand dyed silk fabrics, printed silk chiffons, Merino wool, yarns and silk fibers as embellishments. 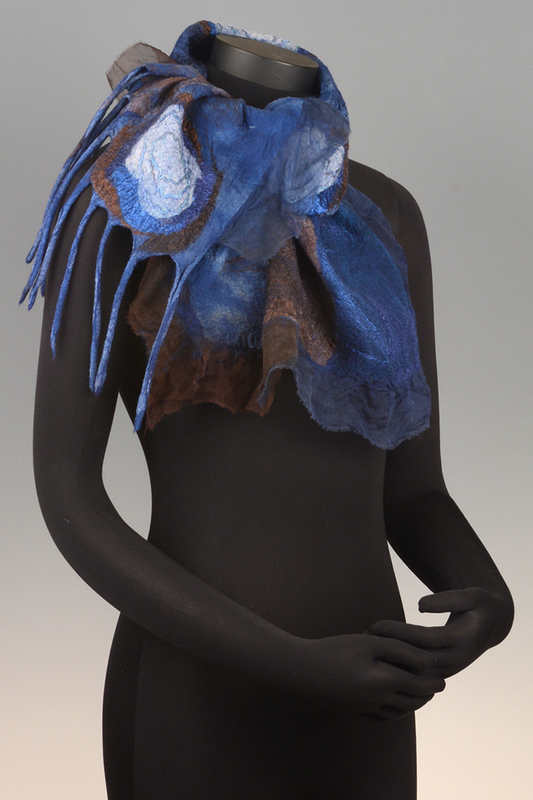 Hand felted. 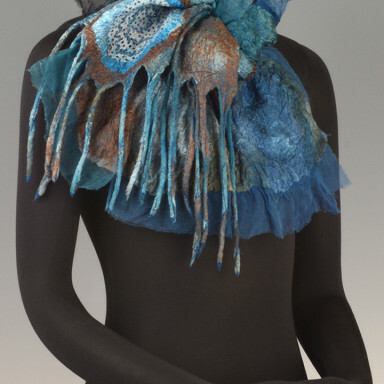 Descriptions and prices can be found by clicking on the image on the left side of each page.